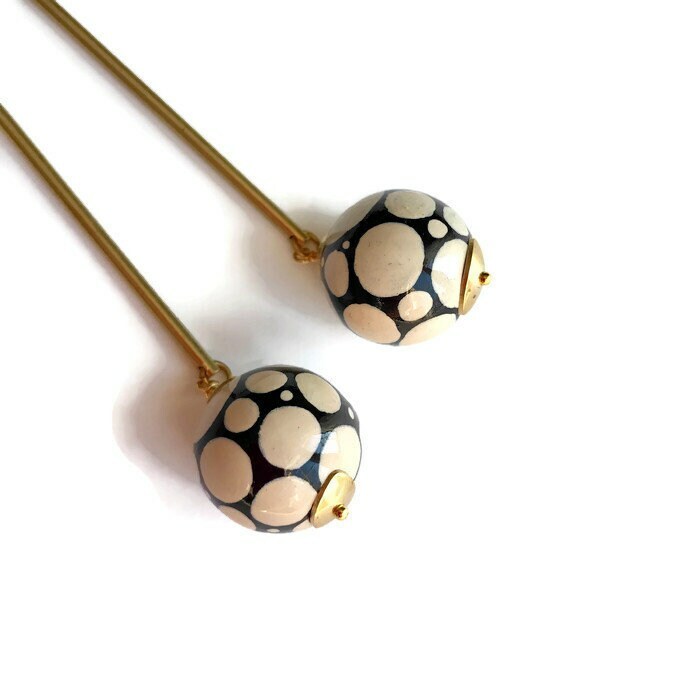 Modern and light hand painted black and white earrings made with hand painted wooden beads and brass components and lever back hooks. The beads have received many coats of water base glossy varnish. This special earrings will be a perfect all year long with winter ou summer outfits. They will be a perfect gift for a woman who likes to stand out from the crowd! Please keep these hand painted earrings away from water. Total length (from top of hook to bottom of bead): 9 cm or 3 1/2 inches.